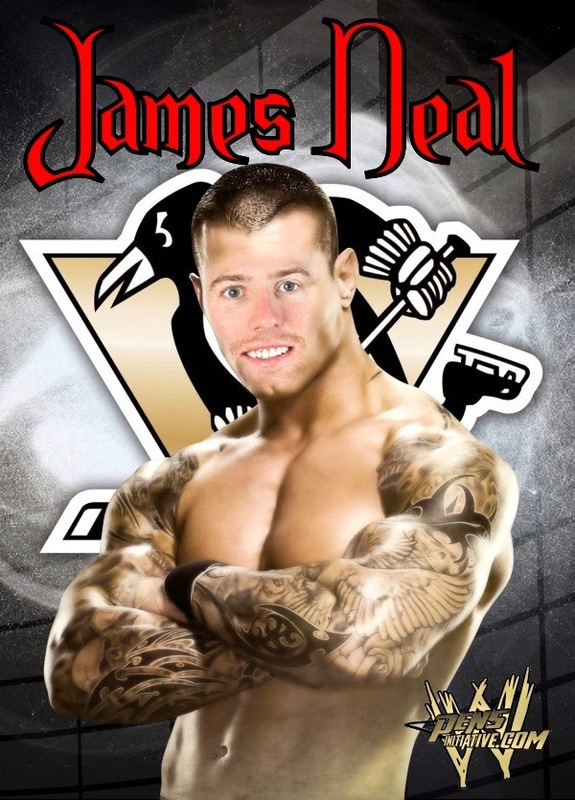 Who better represent "The Show Off" Dolph Ziggler than Kris Letang? Both polarizing figures in their respective professions with both athletes reaching the pinnacle of their sport at an early age. Is there anymore of a flashier defenseman in the league than Letang? Both lighting quick, conditioned to perfection and both struggling to come back to championship form. Ziggler and Letang both suffered concussions that seemed to have derailed their momentum but both working hard to regain the elite status they deserve. R-V-D ... M-A-F Both Marc-Andre and the Whole F'N Show Rob Van Dam are probably considered some of the best on the planet but both widely viewed as so much potential that hasn't been utilized efficiently. Rob Van Dam can put on a 5 star match with anyone. He could make Scott Steiner look like Bret Hart and then the next night he decided to go party and fail the wellness policy. 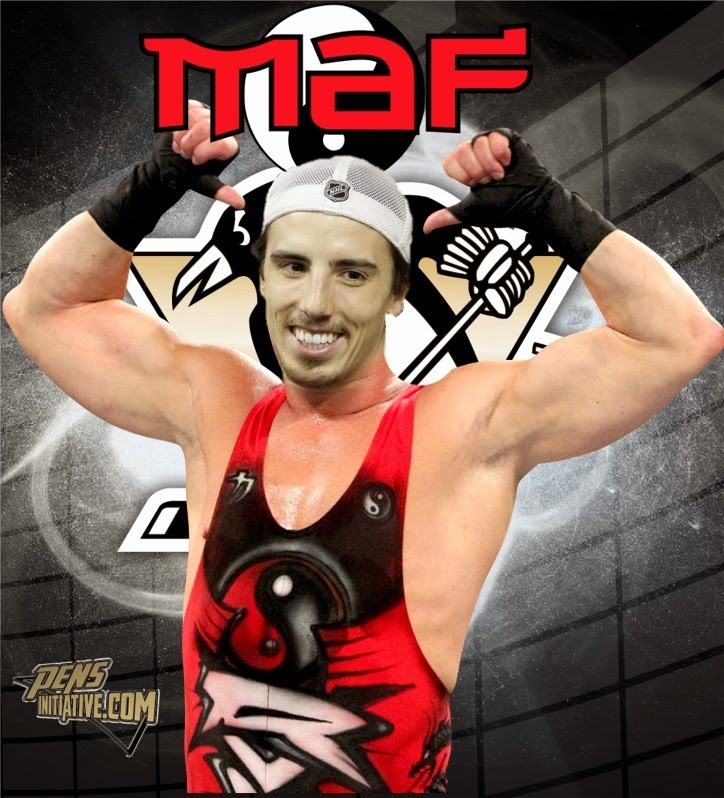 MAF on the other hand, has more franchise wins than any other Penguins goalie in history and consistently has bailed out his team from deplorable defensive lapses but .... his playoff performance has been less than stellar. Could a 100% focused RVD be considered one of the world's best? Yes? Could a 100% focused MAF be considered the same? I think so. This was an easy choice for me. Both men cruising off past achievements and possibly well passed their prime. 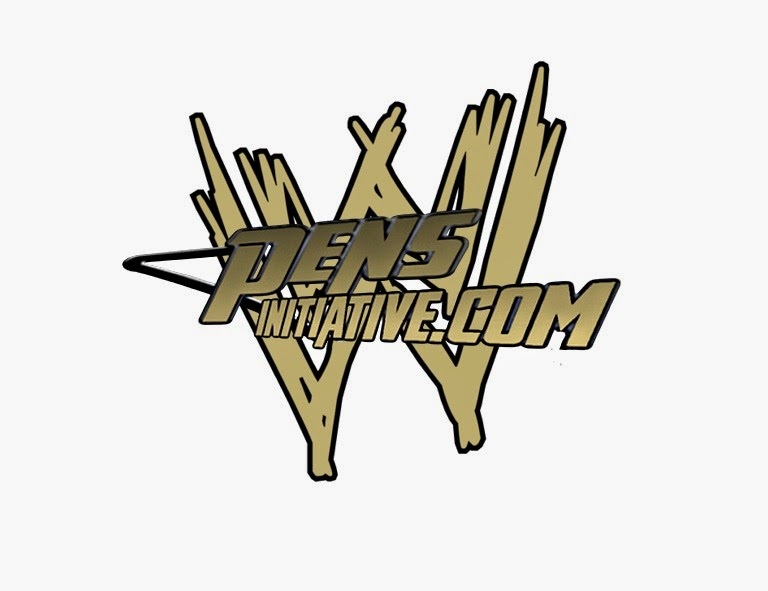 Big Show and Orpik are locker room leaders who are committed to helping the young talent on the team and doing basically anything they can to ensure that the next generation of stars are ready to go. Show and Orpik still can come up huge and intimidate and impose force on their opponents but those moments seem few and far between now. The "Hounds of Justice" The Shield and the Penguins Penalty Kill both are used to even out the karmic balance when things get out of hand. Through most of the season the Penguins PK unit was ranked #1 in the entire NHL. 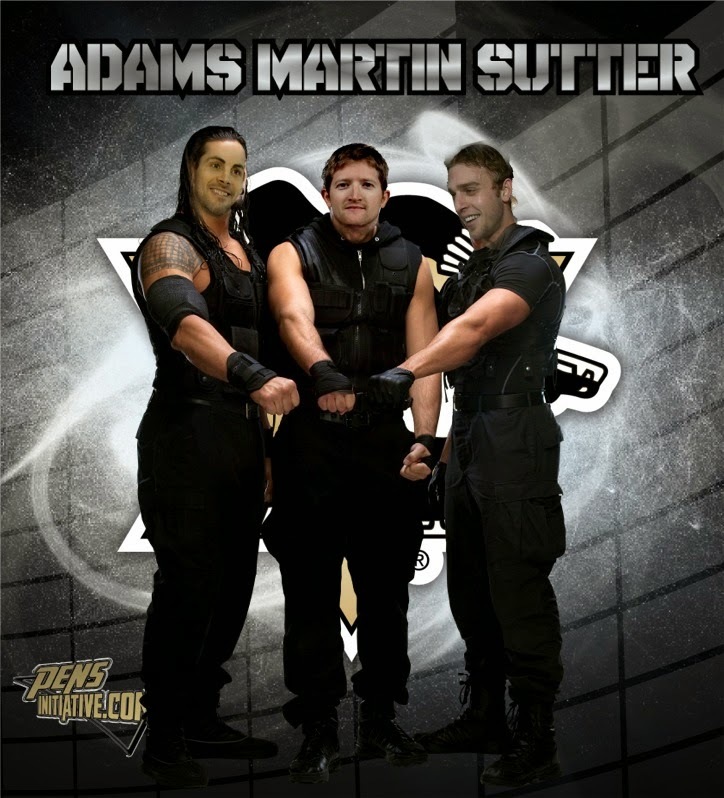 When there was trouble the ever-reliable Adams, Martin, and Sutter came onto the ice and earn black and blue badges of honor doing everything they could to get the puck out of the net for two minutes. The Shield operate under the same dogma. They work together as a unit and take their bumps and bruises to achieve success. Plus Adams head on Reign's body looks hilarious. 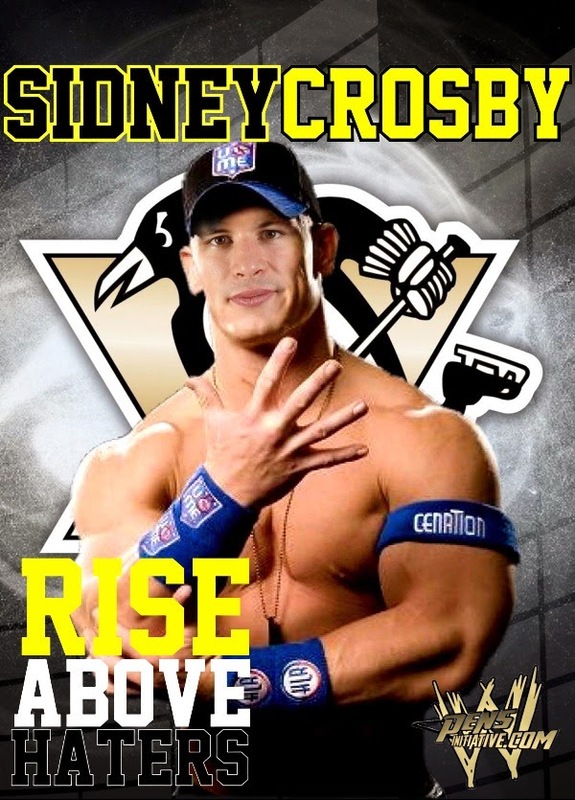 Was there a more obvious choice than Sidney Crosby as John Cena? Both have a healthy collection of hardware, both are the top guys of their league and both have a reputation of being great guys. Not only does being the top of your profession bring you love, but it also gets you hate. No matter what both guys bring to their work they have their legions of haters. Weather the hate is justified or just out of jealousy it seems for every group of fans they have there is also a group of haters. Regardless of your personal feelings towards both, they are both arguably the BEST at what they do. Who doesn't love young talent? It is rare that a "baby" comes in and just dominates in every possible way. This could be said for both Olli Matta and Bray Wyatt. Maatta went from the OHL to being a first line blue liner for the Penguins from what appeared to be out of nowhere. And though with a healthy roster moving him down a little in the roster, he is still as important of a player on the team. Bray Wyatt came to WWE with what might have seemed to be a silly character but if you have the talent, not even a strange character can hold you back. 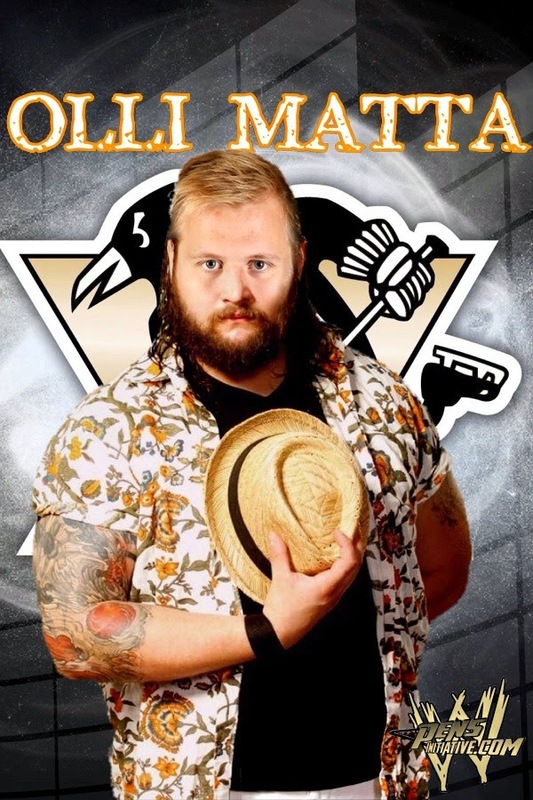 Wyatt has the in ring ability and the ability to cut a promo in a way that would make many wrestling legends blush. These two were a clear match. 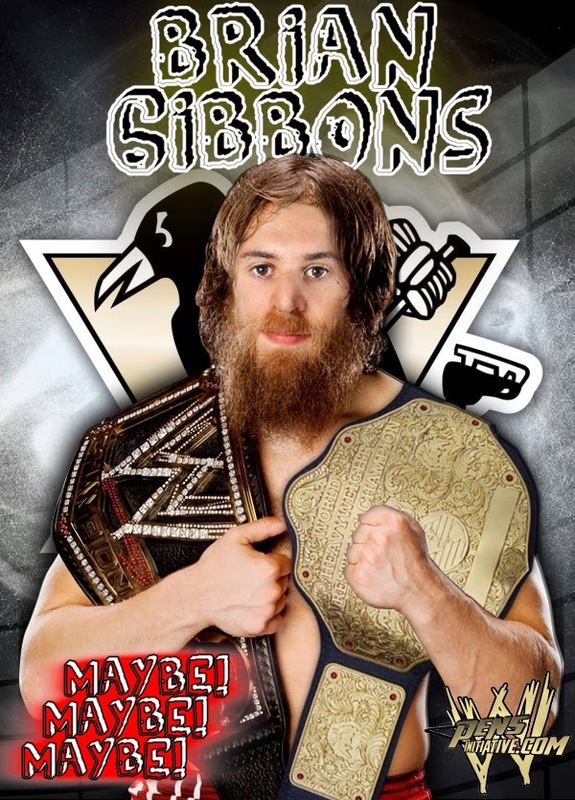 Brian Gibbons and Daniel Bryan. Two guys who had to work really hard to get where they are. Though skilled, both don't have all the tools to do what they do as well as they do, but with hard work have won fans over. Bryan starting in Ring of Honor and Brian starting in the AHL. Sometimes Gibby lacks consistency but his hard work has not only earned him a spot, but won over fans. Same as Daniel Bryan. He might not have the look, size or the ability on the microphone, but his hard work has won over fans and earned him a spot as one of the top guys in WWE.